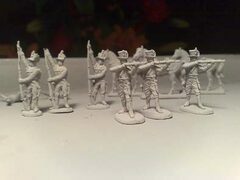 Here the first casted group of four austrian jagers. 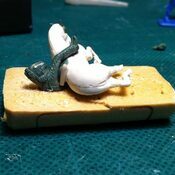 Here you can see the making of One Off pieces, i will concept, sculpt and paint them. 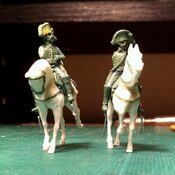 Here my horse production, i'm busy with a system which will allow to made different poses. 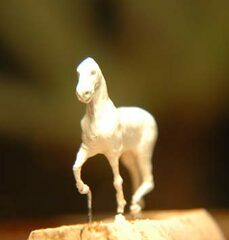 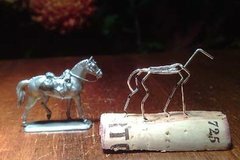 Here my first attempt on horses, i made a long preparation with sketches and proportions, i must say that my problem is now in the right sculpting material, I'm not satisfied with the Greenstuff because it is almost impossible for me to smooth the surfaces, although is very detailed, i skipped Milliput because it is too bold for the parts like the legs.... but may be i will try it at once.... today i bought Fimo..... let's see what it will come..... anyway here the first pics. 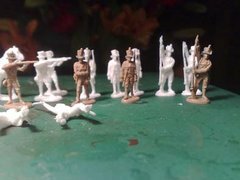 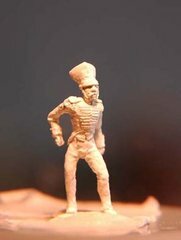 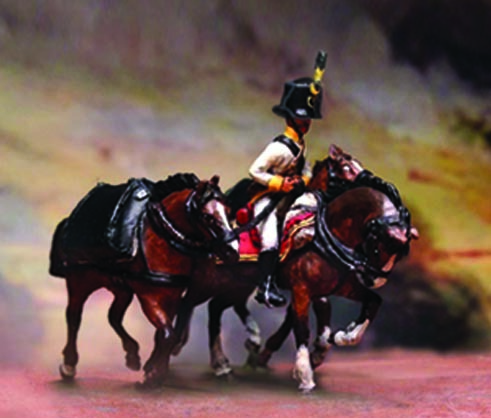 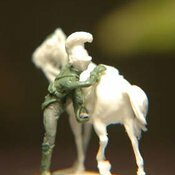 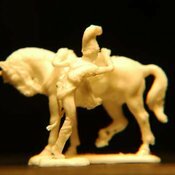 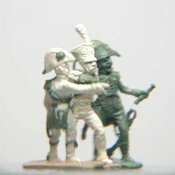 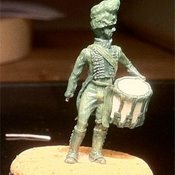 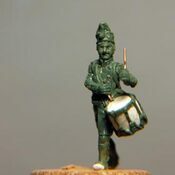 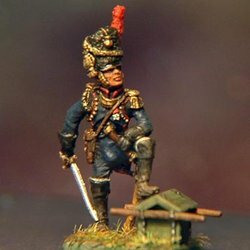 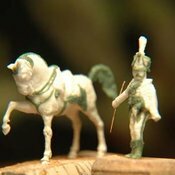 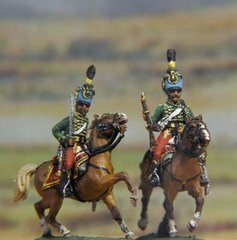 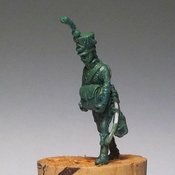 This is my first attempt on sculpting miniatures, i use Milliput for the main parts and Green stuff for the details, here a Neapolitan Army Guardia Reale ADC and a Staff Colonel,my ambition is to do some more of the Neapolitan army under Murat.